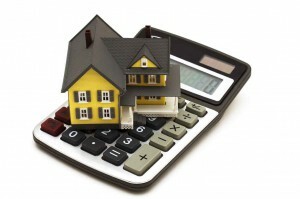 In a recent Real Estate Talk show Michael Yardney had some great advice on how to avoid paying too much when you buy. He will explain the benefits of employing ‘knowledge detachment’. Kevin: When a purchaser gets involved in negotiating for a property they’ve fallen in love with, emotions quite often can rule logic. It’s very easy to get caught up in the moment and end up paying more than perhaps you should do. As either a home buyer or a property investor, it’s critical not to get carried away with your emotions but instead approach the negotiation process from a position of knowledge detachment. That’s according to Michael Yardney from Metropole Property Strategists who joins us. Hi, Michael. Kevin: Michael, explain a little bit more about that, because it’s one of the areas where a lot of property investors can go wrong. Michael: Kevin, unfortunately, the market is creating a lot of emotion at the moment – the old emotions of fear and greed: fear of missing out, greed of wanting to get in and make the market work for you. Now, there’s nothing wrong with either being fearful or being greedy; the question is, though, am I allowing that to rule the way I’m negotiating, and am I making it work for me or against me? Kevin: I sometimes wonder, too, Michael, with the growth of the number of auctions right around Australia whether this is becoming even more critical. Michael: It is, very much so. Only today, we were in the situation where we were forced to make an offer before auction. 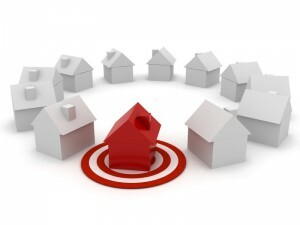 In most cases, if I was a vendor or if I was an agent, I would be suggesting the vendor go to auction and see what the marketplace is going to offer, because in our strong environment at the moment they’re getting some very good offers at auction. But sometimes for personal circumstances, the vendor doesn’t want to take that risk or want to pay for the marketing campaign, so they start a campaign, and then agents are currently moving to having these little private auctions – these Dutch auctions, these blind auctions, these one-off bids. It actually puts you in a very different negotiating position that can be as nerve-wracking and scary for a buyer as an auction. Kevin: Michael, help us. What are some of the rules of engagement? Michael: The first thing you have to do is do your homework first. Rather than flying blind, make sure you understand that if it’s a pre-auction offer, depending upon how soon before the auction it is, it’s going to be an unconditional sale, as well. Make sure you’ve done all you’re due diligence. Make sure your solicitor has checked the contract. 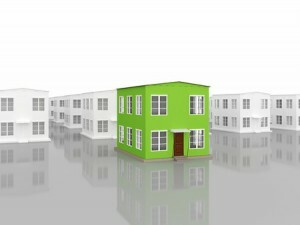 Make sure you understand what the property is worth. The best weapon coming into negotiation is knowledge, having the knowledge of the marketplace. Be armed with that. I guess the next thing is be prepared in this strong market to lose because, unfortunately, for every auction currently there are three or four losers. That doesn’t mean you’ve lost in the long-term; it means this property is just not going to be the one for you, and you have to move on to another one. Kevin: Of course, good agents will play on that fear of loss. Michael: Of course, they will. They’re good readers of emotions. That’s the reason why a lot of people employ buyer’s agents like the team at Metropole to help a little of that emotion out. Agents are taught how to negotiate. They’re taught to read your emotions. Most buyers don’t understand how to handle that properly. One of the things I really don’t like is this concept of a Dutch auction where the agent pitches two or more potential purchases into making, I guess, what are blind bids. That’s exactly the position we’re finding ourselves in as we speak. I know you know that just before I got on the line with you we were negotiating with an agent who is saying, “Put in an offer,” but he won’t tell us what the other offers are. One of the ways they’re doing that sometimes is saying, “That’s it. You have one chance, one bid in a sealed envelope. I think I’d rather be at an open auction where I can see what the other people are doing and the fact, Kevin, that there are other people. You don’t always know that, do you? Kevin: No you don’t, Michael. It’s a difficult situation. What do you do in that position? You obviously have to put your best foot forward if you want it, but then as you said earlier you’ve got to be prepared to lose. Michael: Exactly right. I think when that situation occurs, you have to read the agent and see if it’s true. You have to also make sure that he doesn’t use your offer to push somebody else higher. Then that’s the time when you actually do have to put your best offer forward, accepting the fact that if you got it at that price, you would be happy to accept it and if not you’ll go on. Something else really interesting happened this weekend. Michael: One of our buyer’s agents was looking at a property, and he knows the selling agent was asking somebody to get it on the market before auction during that marketing campaign. Interestingly, he got an SMS – which I assume all the other people interested got – saying, “The property is now on the market. We’re prepared to sell before auction, and the offer we received was…” and they actually even disclosed it. We were really happy we weren’t in the position that we were the ones who made it. I thought that was very wrong. Kevin: That seems very unprofessional, I would have thought, Michael. Michael: That’s the way we felt, as well, and we’re happy that we weren’t the ones who were called out that way. I bet the person who made the offer didn’t know that they were being used to get us to make a higher offer. How would they feel if they found out? Kevin: They would feel terrible. As we can see there, Michael, there is certainly a lot of emotion involved. It’s always best if you negotiating to get someone on your side. 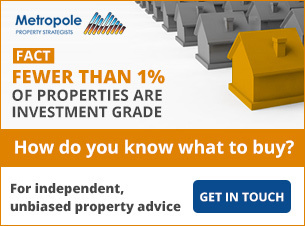 Think about using a buyer’s agent – people like Metropole Property Strategists. My guest has been Michael Yardney from that wonderful organization. Michael, thanks again for your time.